I am broadly interested in geometry and topology. My research focuses on categorification in quantum topology, especially knot- and link homology theories and their deep relationships to (higher) representation theory and mathematical physics. All my papers are available on the mathematics arXiv. They are also listed by Google Scholar, ORCiD and ResearchGate. We describe the universal target of annular Khovanov-Rozansky link homology functors as the homotopy category of a free symmetric monoidal category generated by one object and one endomorphism. 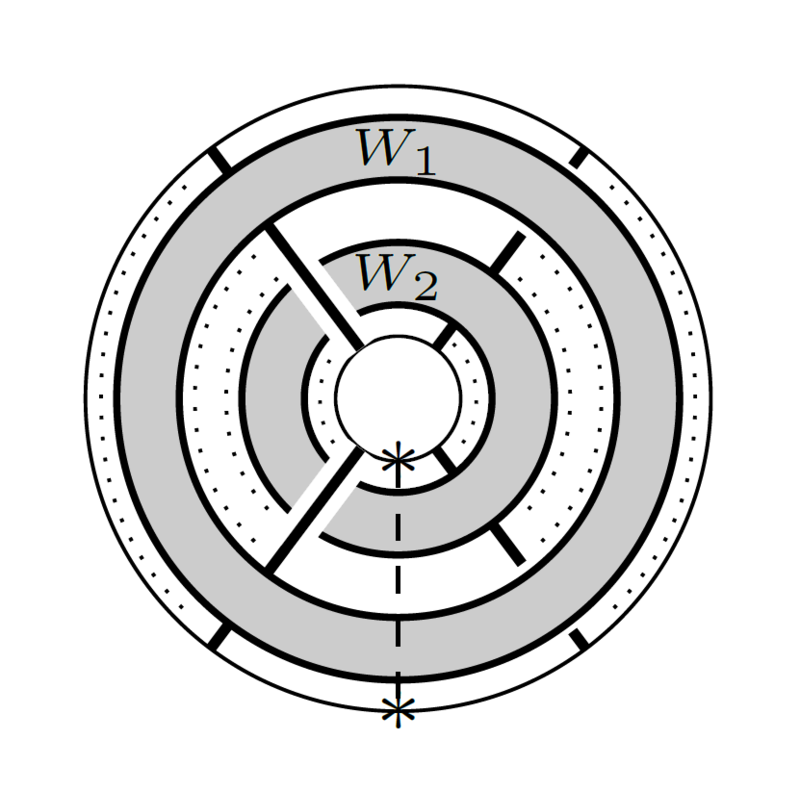 This categorifies the ring of symmetric functions and admits categorical analogues of plethystic transformations, which we use to characterize the annular invariants of Coxeter braids. 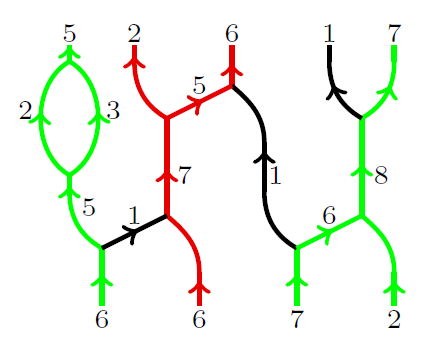 Further, we prove the existence of symmetric group actions on the Khovanov-Rozansky invariants of cabled tangles and we introduce spectral sequences that aid in computing the homologies of generalized Hopf links. Finally, we conjecture a characterization of the horizontal traces of Rouquier complexes of Coxeter braids in other types. 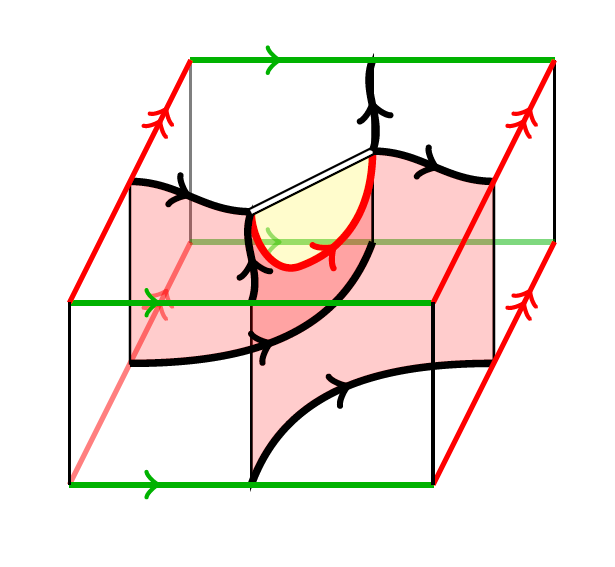 For every oriented surface of finite type, we construct a functorial Khovanov homology for links in a thickening of the surface, which takes values in a categorification of the corresponding gl(2) skein module. The latter is a mild refinement of the Kauffman bracket skein algebra, and its categorification is constructed using a category of gl(2) foams that admits an interesting non-negative grading. We expect that the natural algebra structure on the gl(2) skein module can be categorified by a tensor product that makes the surface link homology functor monoidal. We construct a candidate bifunctor on the target category and conjecture that it extends to a monoidal structure. This would give rise to a canonical basis of the associated gl(2) skein algebra and verify an analogue of a positivity conjecture of Fock–Goncharov and Turston. We provide evidence towards the monoidality conjecture by checking several instances of a categorified Frohman-Gelca formula for the skein algebra of the torus. Finally, we recover a variant of the Asaeda–Przytycki–Sikora surface link homologies and prove that surface embeddings give rise to spectral sequences between them. 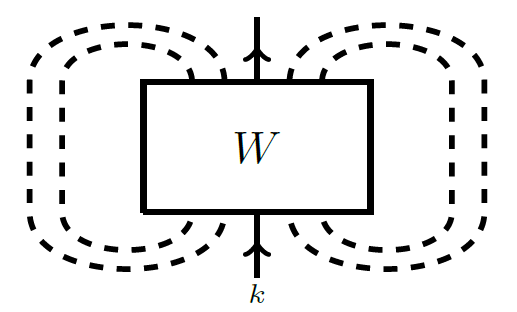 In previous work, we have constructed diagrammatic idempotents in an affine extension of the Temperley–Lieb category, which describe extremal weight projectors for sl(2), and which categorify Chebyshev polynomials of the first kind. 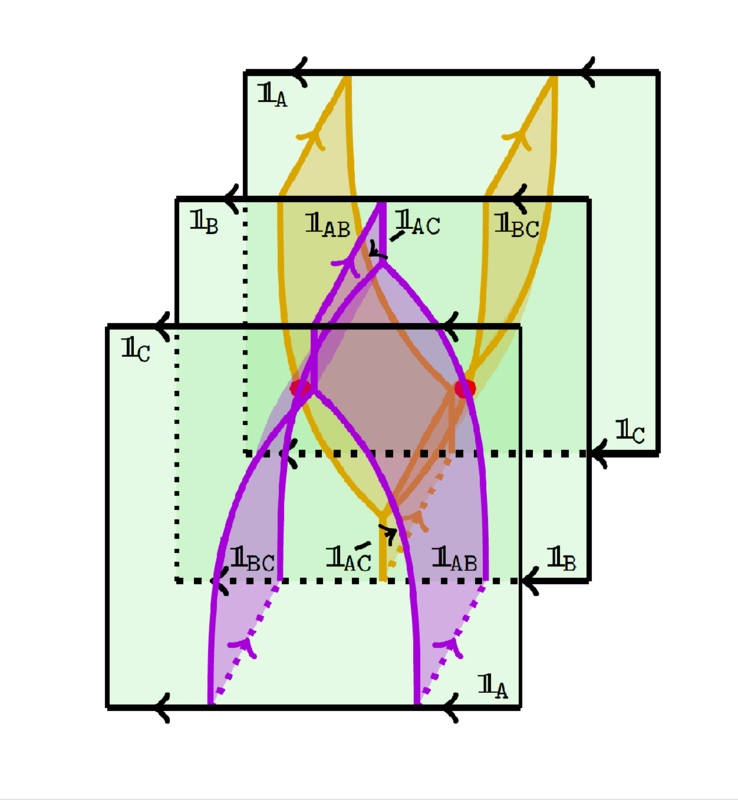 In this paper, we generalize the construction of extremal weight projectors to the case of gl(N) for N > 1, with a view towards categorifying the corresponding torus skein algebras via Khovanov–Rozansky link homology. As by-products, we obtain compatible diagrammatic presentations of the representation categories of gl(N) and its Cartan subalgebra, and a categorification of power-sum symmetric polynomials. We define reduced colored sl(N) link homologies and use deformation spectral sequences to characterize their dependence on color and rank. We then define reduced colored HOMFLY-PT homologies and prove that they arise as large N limits of sl(N) homologies. Together, these results allow proofs of many aspects of the physically conjectured structure of the family of type A link homologies. In particular, we verify a conjecture of Gorsky, Gukov and Stošić about the growth of colored HOMFLY-PT homologies. We prove that the generating functions for the colored HOMFLY-PT polynomials of rational links are specializations of the generating functions of the motivic Donaldson-Thomas invariants of appropriate quivers that we naturally associate with these links. This shows that the conjectural links-quivers correspondence of Kucharski–Reineke–Stošić–Sułkowski as well as the LMOV conjecture hold for rational links. Along the way, we extend the links-quivers correspondence to tangles and, thus, explore elements of a skein theory for motivic Donaldson-Thomas invariants. We prove that the bigraded, colored Khovanov–Rozansky type A link and tangle invariants are functorial with respect to link and tangle cobordisms. With Michael Ehrig and Daniel Tubbenhauer. 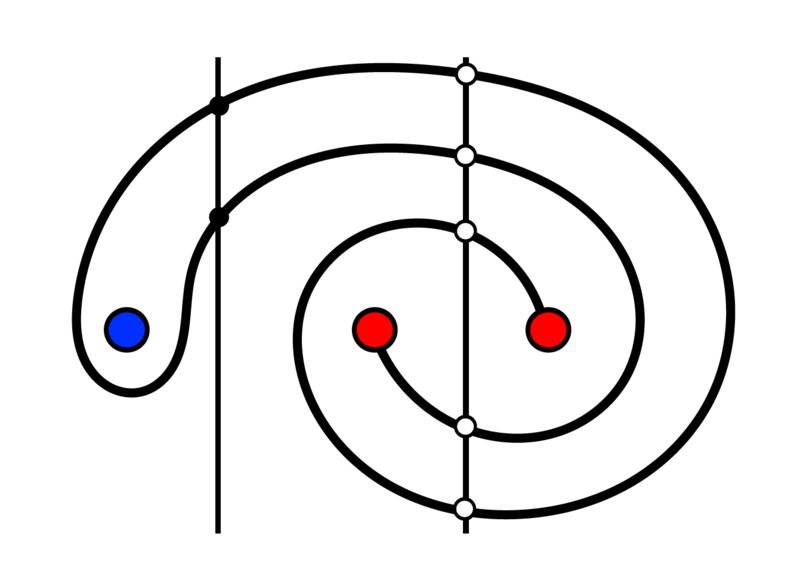 We compute q-holonomic formulas for the HOMFLY polynomials of 2-bridge links colored with one-column (or one-row) Young diagrams. We introduce a quotient of the affine Temperley-Lieb category that encodes all weight preserving linear maps between finite-dimensional sl(2)-representations. We study the diagrammatic idempotents that correspond to projections onto extremal weight spaces and find that they satisfy similar properties as Jones-Wenzl projectors, and that they categorify the Chebyshev polynomials of the first kind. This gives a categorification of the Kauffman bracket skein algebra of the annulus, which is well adapted to the task of categorifying the multiplication on the Kauffman bracket skein module of the torus. We prove a conjectured decomposition of deformed sl(N) link homology, as well as an extension to the case of colored links, generalizing results of Lee, Gornik, and Wu. To this end, we use foam technology to give a completely combinatorial construction of Wu’s deformed colored sl(N) link homologies. By studying the underlying deformed higher representation-theoretic structures and generalizing the Karoubi envelope approach of Bar-Natan and Morrison, we explicitly compute the deformed invariants in terms of undeformed type A link homologies of lower rank and color. 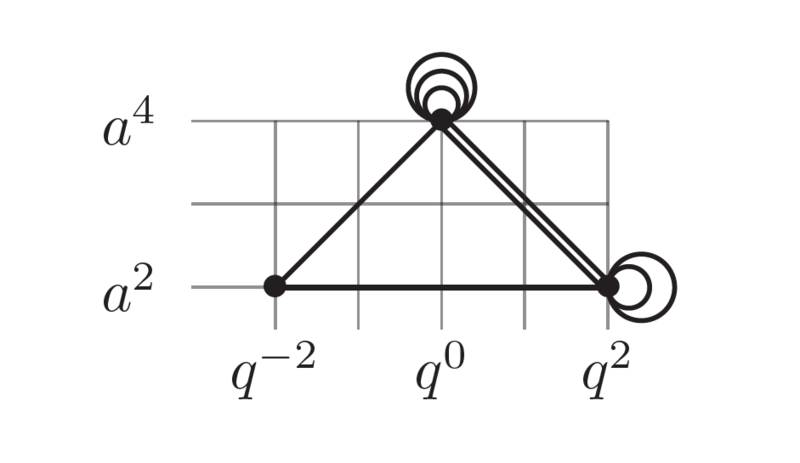 We use super q–Howe duality to provide diagrammatic presentations of an idempotented form of the Hecke algebra and of categories of gl(N)–modules (and, more generally, gl(N|M)–modules) whose objects are tensor generated by exterior and symmetric powers of the vector representations. 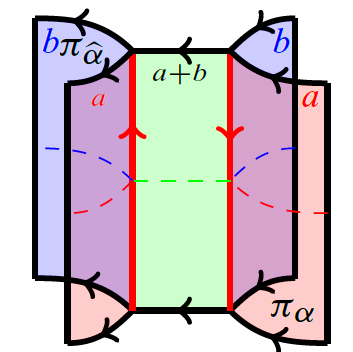 As an application, we give a representation-theoretic explanation and a diagrammatic version of a known symmetry of colored HOMFLY–PT polynomials. With Daniel Tubbenhauer and Pedro Vaz. We use categorical skew Howe duality to find recursion rules that compute categorified sl(N) invariants of rational tangles colored by exterior powers of the standard representation. Further, we offer a geometric interpretation of these rules which suggests a connection to Floer theory. Along the way we make progress towards two conjectures about the colored HOMFLY homology of rational links and discuss consequences for the corresponding decategorified invariants. Research Visit, Universität Zürich, 10th - 14th April 2019. Research Visit, Université de Montpellier, 14th - 18th April 2019. Conference: "Quantum Topology and hyperbolic geometry III", Da Nang, Vietnam, 27th - 31st May 2019. Workshop at Quy Nhon University, Vietnam, 2th - 4th June 2019. Conference: "New developments in quantum topology", Berkeley, 4th - 7th June 2019. Conference: "Mathematics and Physics of Knots", Institute Mittag Leffler, 24th - 28st June 2019. MSRI Program: "Quantum Symmetries", January - May 2020. Workshop: "Hidden Algebraic Structures in Topology", Caltech, 13th-16th March 2019. Conference: Kioloa, 18th - 22nd February 2019. Conference: "Aspects in higher representation theory", Brussels, 21st - 25th January 2019. I organised a workshop on "Categorification in quantum topology and beyond" at the Erwin Schrödinger Institut, Vienna, 7th - 18th January 2019. Here you can find video recordings of the talks. I organised a workshop on "Classical and quantum three-manifold topology" at Monash University and gave a mini course on "Conjectures in Quantum Topology". Melbourne, 14th - 21st December 2018. Workshop: "Categorified Hecke algebras, link homology, and Hilbert schemes", American Institute of Mathematics, 1st - 5th October 2018. Conference: "Interactions of low-dimensional topology and higher representation theory", Universität Zürich, 17th - 21st September 2018. Conference: "Categorification and Higher Representation Theory", Institute Mittag Leffler, 9th - 13th July 2018. Conference: TQFT and categorification, IESC, Corsica, 15th - 20th April 2018. Workshop: Modular Forms and Quantum Knot Invariants, Banff International Research Station, 11th - 16th March 2018. Conference: Quantum knot homology and supersymmetric gauge theories, Aspen Center for Physics, 4th - 10th March 2018. Conference: Representation Theory and Combinatorics of Torus Links, University of Massachusetts, Amherst, 8th July 2017. Symposium in Mathematical Physics, Universität Zürich, 24th - 25th April 2017. Quantum invariants and low-dimensional topology, MATRIX, Melbourne, Australia, 14th - 17th December 2016, Slides. Workshop on Homological Methods in Algebra and Geometry, African Institute for Mathematical Sciences, Ghana, August 2016. WARTHOG, University of Oregon, 25th - 29th July 2016. 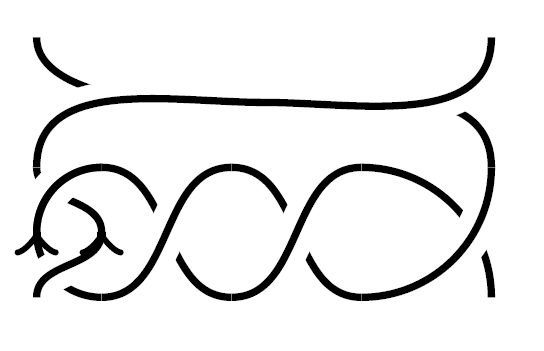 Conference: Knots in Hellas, Keynote talk, Olympic Academy, Greece, 17th - 23rd July 2016, Slides. Workshop: Categorification, Universität Bonn, Germany, 16th - 20th May 2016. SwissMAP Conference, Engelberg, Switzerland, 24th - 30th January 2016. Colloquium, George Washington University, Washington DC, 13th November 2015. Workshop: Physics and mathematics of knot homologies, SCGP, Stony Brook, 1st June - 3rd June 2015. Video, Slides. Conference: Winter Braids V, Université de Pau, 16th February - 19th February 2015. Young Topology Meeting, Imperial College London, 6th June 2014. Seminar talk, University of Hamburg, 25th January 2019. Seminar talk, Claremont topology seminar, 6th December 2018. Seminar talk, UCSB, 4th December 2018. Seminar talk, Uppsala Universitet, 16th July 2018. Seminar talk, The Australian National University, 18th May 2018. Seminar talk and research visit, Monash University, 7th - 9th May 2018. Seminar talk, University of Melbourne, 7th May 2018. Seminar talk, University of Southern California, 19th March 2018. Seminar talk, The Australian National University, 14th November 2017. Seminar talk, Algebra Seminar, Sydney University, 27th October 2017. Seminar talk, The Australian National University, 20th October 2017. Seminar talk and research visit, QGM, Aarhus University, 28th August - 1st September 2017. Seminar talk and research visit, Instituto Superior Técnico 22nd - 24th May 2017. Seminar talk, Universität Wien, 2nd May 2017. Seminar talk, Symplectic cut, London, 22nd March 2017. Seminar talk, Geometry Tea, Cambridge, 17th March 2017. Seminar talk, Symplectic cut, London, 15th February 2017. Seminar talk, Université de Montpellier, 1st December 2016. Seminar talk, Université catholique de Louvain, 28th November 2016. Seminar talk, Universität Wien, 30th June 2016. Seminar talk, Oberseminar Darstellungstheorie, Universität Bonn, Germany, 15th April 2016. Seminar talk, MPI Oberseminar, Max-Planck-Institut für Mathematik Bonn, Germany, 14th April 2016. Seminar talk and research visit, Physics and Geometry Seminar, Caltech, 15th November - 25th November 2015. Seminar talk, Columbia University, New York, 12th November 2015. Seminar talk and research visit, Université catholique de Louvain, 22nd April - 25th April 2015. Seminar talk and research visit, Universität Zürich 17th March - 20th March 2015. Seminar talk, Durham University, 29th January 2015. Seminar talk, Differential Geometry and Topology Seminar, University of Cambridge, 28th January 2015. Seminar talk and research visit, QGM, Aarhus University, 12th January - 17th January 2015. Seminar talk, Institut de Mathématiques de Jussieu-Paris Rive Gauche (IMJ-PRG), 4th December 2014. Seminar talk, Université de Genève, 27th November 2014. Seminar talk and research visit, QGM, Aarhus University, 8th July - 12th July 2014. Seminar talk, Erwin Schrödinger Institut, 30th June 2014. Research Visit at UCLA, 17th - 22nd March 2019. Research Visit: "Quantum Knot Invariants and Supersymmetric Gauge Theories", Kavli Institute for Theoretical Physics, 19th November - 9th December 2018. Conference: "Future directions in representation theory", University of Sydney, 4th - 8th December 2017. INI 3-manifold workshop, Isaac Newton Institute, Cambridge, 30th January - 3rd February 2017. Workshop on Knots and Links in Biological and Soft Matter Systems, ICTP, 26th - 30th September 2016. ECSTATIC 2, Imperial College London, 14th - 16th June 2016. AMS International Meeting, Porto, 10th June - 13th June 2015. Categorification in Algebra, Geometry and Physics (A conference in honor of the 60th Birthday of Christian Blanchet), IESC Corsica, 4th May - 8th May 2015. Algebraic Lie theory and representation theory, LMS and Clay institute research school, University of Glasgow, 25th August - 29th August 2014. Quantum Curves and Quantum Knot Invariants, Banff International Research Station, 15th June - 20th June 2014. Categorification and geometric representation theory , Centre de recherches mathématiques, Université de Montréal, 9th June - 13th June 2014. Topology in Low Dimensions, LMS Short Course, Durham University, 26th August - 30th August 2013. Physics and Mathematics of Link Homology, Séminaire de Mathématiques Supérieures, Centre de recherches mathématiques, Université de Montréal, 24th June - 5th July 2013. MATH1013, first year linear algebra, The Australian National University, Semester 2, 2018. INI winter school tutorial, Isaac Newton Institute, Cambridge, January 2017. London Taught Course Center Intensive Course Introduction to Khovanov homology, November 2016. ESI Simons Lecture Series Knot homologies and higher representation theory, October 2016. Series of talks on Khovanov homology, TAKTIC Seminar, Imperial College London, November - December 2015. Supervisor for undergraduate Geometry (Part IB) and Algebraic Topology (Part II), University of Cambridge, 2012-2015. Repetitorium Analysis, Universität Wien, 2010-2011. Seminars on measure theory and analysis, Universität Wien, 2010-2011. 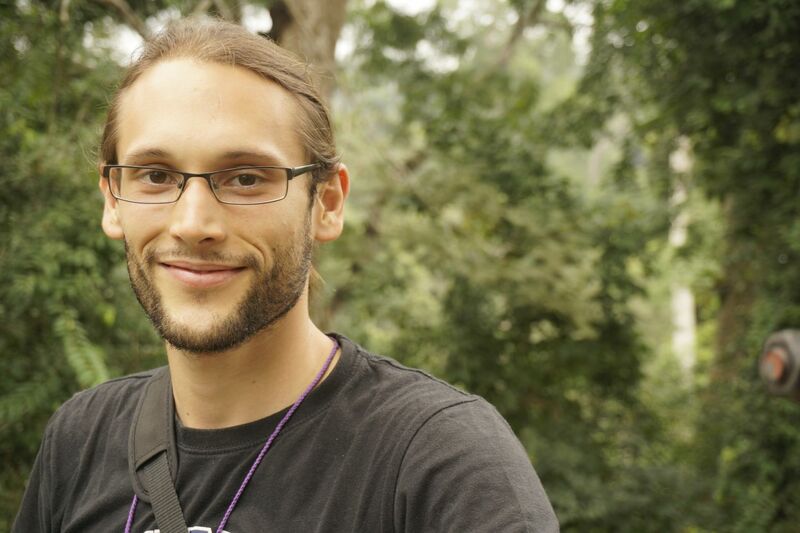 Jack Brand, Honours thesis (co-supervisor), The Australian National University, 2018. Hazel Browne, undergraduate summer research (co-supervisor), The Australian National University, 2018. Sam Osborne, MSc project, Imperial College London, 2017. 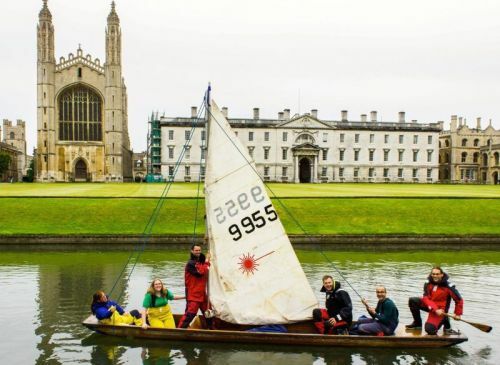 Sailing: I am a skipper in the Cambridge University Yacht Club and I was a main sail trimmer in the Cambridge University Yacht Racing Team, for which I got a Cambridge Half Blue and a medal from a princess (long story). 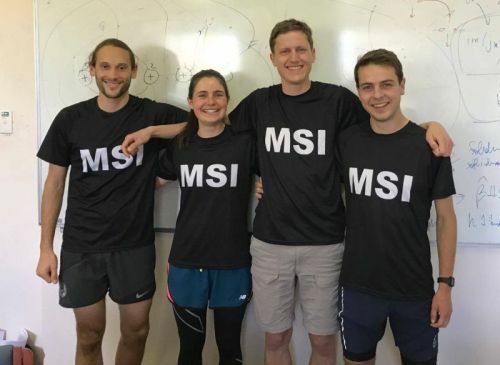 Running: In October 2017 I was part of a team from the Mathematical Sciences Institute which won Division 5 of Inward Bound, an overnight adventure footrace over roughly 50km in mountainous terrain. Other stuff: I am interested in nuclear nonproliferation and disarmament. Here is a great podcast about these topics. I'm on the job market this year. Email me to see my application materials. New preprint Evaluations of annular Khovanov-Rozansky homology. Extremal weight projectors was published in MRL. © Paul Wedrich. Design: HTML5 UP.